Pope Francis...."your wife swims Everyday Mr Clooney?" PigPen: That's because I'm a goof that nobody takes seriously... especially when the joke is such an obvious one, just waiting to be made. Or..........it's because you're a brilliant writer, humorist, amazing person, respected by members of COH. 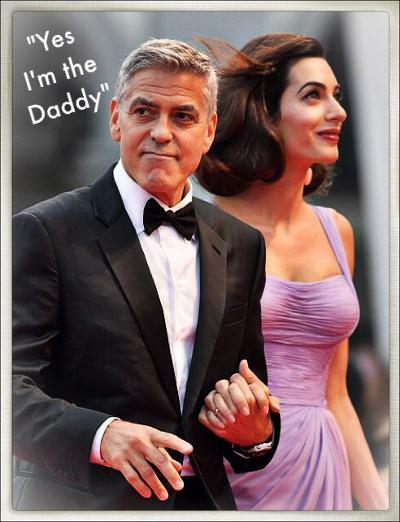 And I, on the other hand, am a crazed, under-medicated Clooney-aholic, not worth her weight in stale potato chips! You guys cracked me up! I needed that today! Thanks girls! Thanks once again to Joanna's wonderful captioning! THANK YOU MEL .....for your wonderful posting for me. Hey Mel....Lovely Avatar....those legs ! !